Even at the age of four, kids know a thing or two about what's cool and what's not. Bright colours: fairly cool, dinosaurs: pretty cool, Spider-Man: very cool. But, for a parent, buying a watch that they're more than happy to show off to their mates in the playground is only half the battle. You need a piece that's going to help them learn to tell the time all by themselves - they'll have no excuse to be late for class all the way through their school lives! We'll help you to find your child's ideal first watch, making sure that it's a piece they're happy to wear and that aids you in your quest to teach your child the ways of old Father Time. 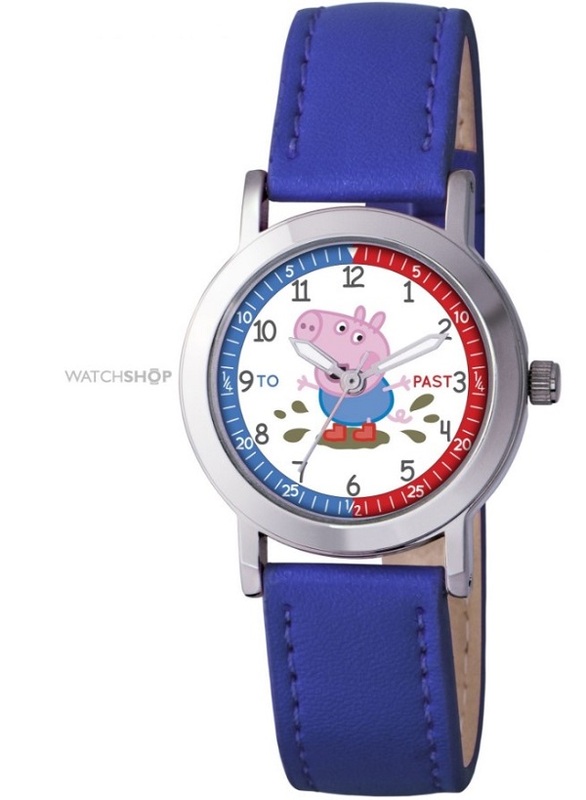 If you're buying a watch for your child in preparation to teach them how to tell the time, this Peppa Pig model makes for the perfect aid. Its bold and easy-to-read numerals will help children get the grip of time telling, and the face is clearly labelled up with 'to' and 'past' halves, which will further help them on their way to conquering the challenge. The watch comes in a pleasing palette of colours, while never being too outlandish - therefore being ideal for fitting in with their school uniform ensemble. George, from Peppa Pig, sits right in the middle of the face. Any kid who's a fan of the show will love to wear a piece that shows one of the main characters in full view, ready to make their friends envious. Frozen's appeal already seems timeless. Despite being only a couple of years old, this Disney movie has propelled itself well and truly into being one of the most liked animated movies of all time. 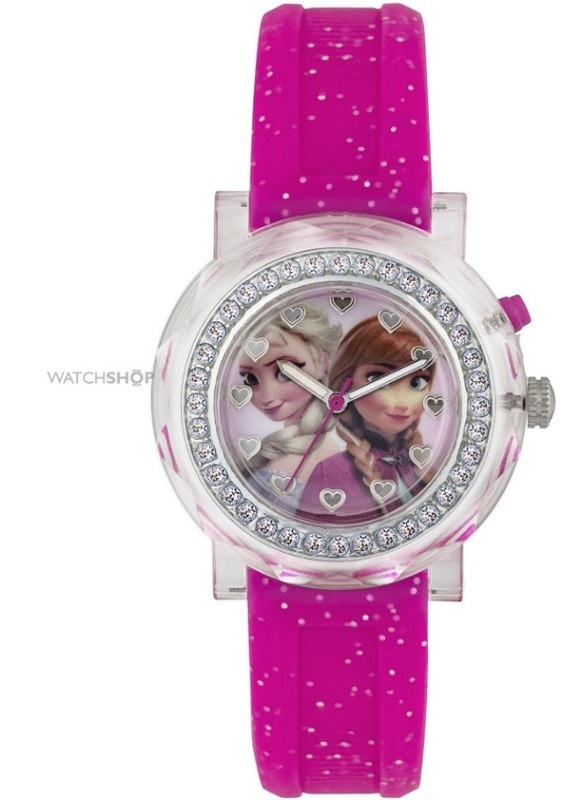 Naturally, kids want to adorn themselves in Elsa and Anna apparel, making this watch ideal for those Frozen fans that just can't get enough of the snowy duo. In contrast to the piece above, this watch is ideal for a child who's a little older, perfect for those who have mastered time telling at home and are now ready to burst into the world of watches. This is indicated by the fact that the numbers have been replaced by hearts on the face - a beautiful addition, but also one that requires a good knowledge of time telling already. Both sisters - Anna and Elsa - sit centrally, while a ring of extra-sparkly jewels encircles the casing. It's an ideal piece for those kids who want their first watch to be a bit blingy. 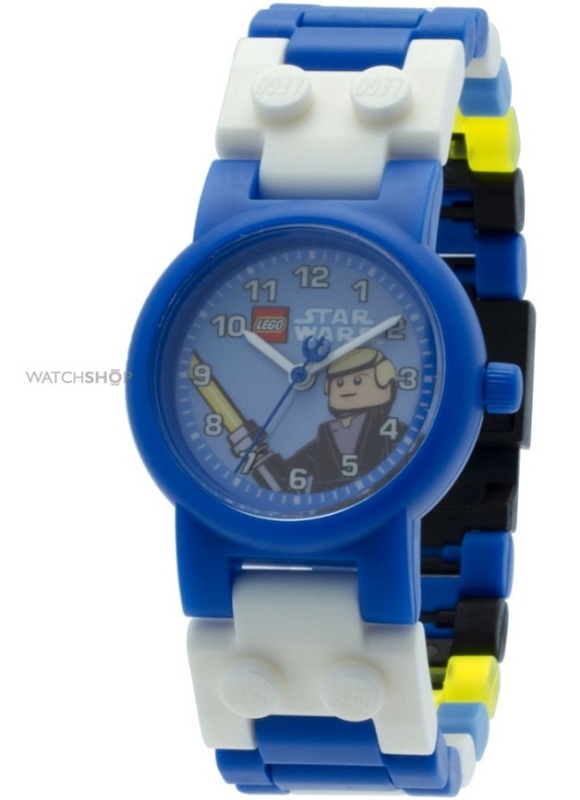 Every child wants to be on the good side, and this Lego Luke Skywalker watch gives them the chance to make their allegiance clear - so they won't be tempted by the Dark Side like Anakin was! Lego Luke sits centre stage on the face, and the strap can be adjusted by adding additional pieces onto it to make it longer, or by taking them away - just like actual Lego. The clear numerals on the watch face make it a good option for a time-teaching watch, while the theme of the piece ensures that your child will want to wear it for a number of years. Star Wars never goes out of fashion, right? Young children often look to the older, 'cooler' audience - like an elder brother or sister - to learn what's trendy and popular. 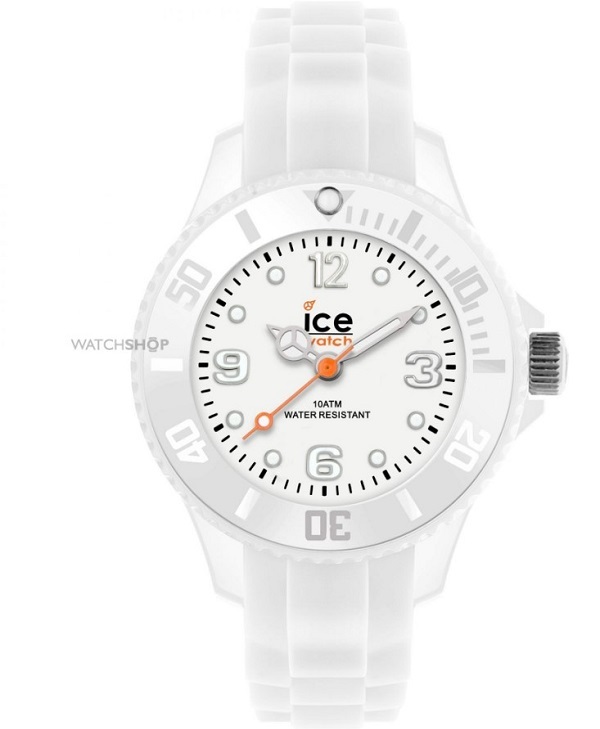 This children's Ice-Watch fits the bill perfectly. Having the same style as the adult variants, it is bright white and bold, and thanks to its plastic casing, it's a very light piece that's ideal for little wrists. Where looks are concerned, it's as stylish as they come, relying on all of three colours to ensure it stands out in the playground. Kids will love the bold numbers on the face, and the orange-coloured second hand also helps to make the watch eye-catching. We've saved perhaps the best to last; nothing lights up the eyes of children more than a bit of pure racing pedigree and a few go-faster stripes. 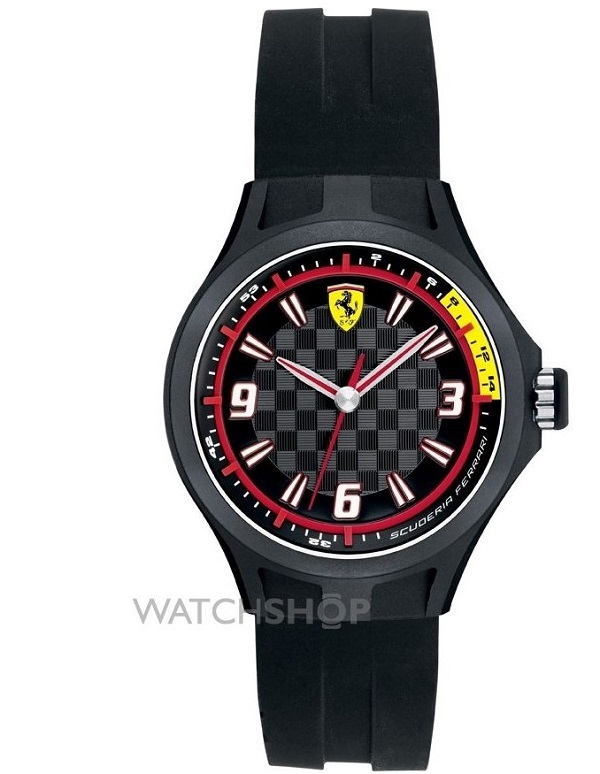 And while the car on the staple Ferrari poster on the bedroom wall might still be just a dream purchase, this children's SF101 Pit Crew watch can be a reality. While there's just a smidge of rosso corsa (that's Ferrari red) on the piece, it's perfectly complemented by black and yellow - two colours that often appear on the Italian manufacturer's cars. If the Prancing Horse wasn't enough of a draw for kids, its sleek and comfortable design certainly will be. Those are our top picks for kids' watches. From early learners to children who might not pick up their first wristwatch until mid-way through primary school, we've got styles for a series of ages amongst our children's watches range.